You know how annoying it is when you walk through the stores and see Halloween paraphernalia right now? Or how ridiculous it is to see Christmas decorations on October 15th? Well, this kind of feels like that. If pumpkin in August is wrong, then I don’t want to be right. I just couldn’t stay away any longer. I want Fall and pumpkin and 50-degree weather and pretty leaves to hang around all year long. Just call that my utopia. Luckily for me, I have 6 (well, had 6) cans of pureed pumpkin in the pantry just begging to be used. I must have inherited the hoarding gene from Mother Lovett. But don’t worry, my pumpkin doesn’t expire until 2012. Mother Lovett’s would have expired in 1994. And she still would have used it. 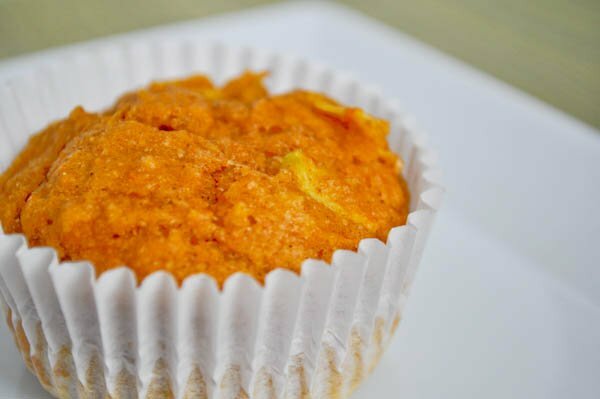 I used my non-expired pumpkin and combined it with juicy, sweet apples and whole wheat flour for some super moist and fluffy muffins. They are oh-so delicious. Even if they are a bit… orange. You never know when you may have a pumpkin emergency. 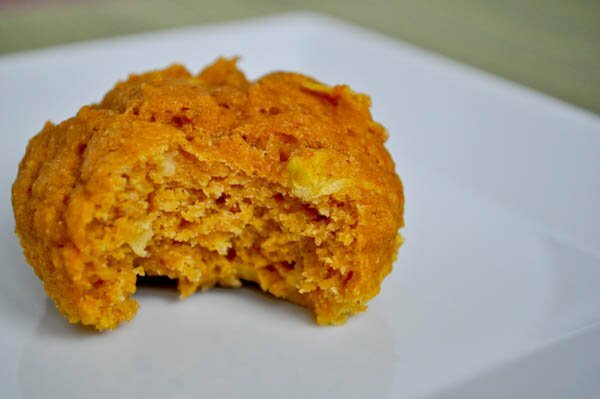 Last year I went to bake with pumpkin and couldn’t find any on the shelves due to the shortage. My mom came to the rescue with a can, but only later did I realize that it had expired the previous year. Clearly she inherited the expired-goods gene. After that incident, I went out and bought all the pumpkin on the shelves. Yes, I have it all. I’m the jerk that bought it all at the store before you could get there. In a large bowl, combine flour, sugar, salt, baking powder, cinnamon and pumpkin pie spice. 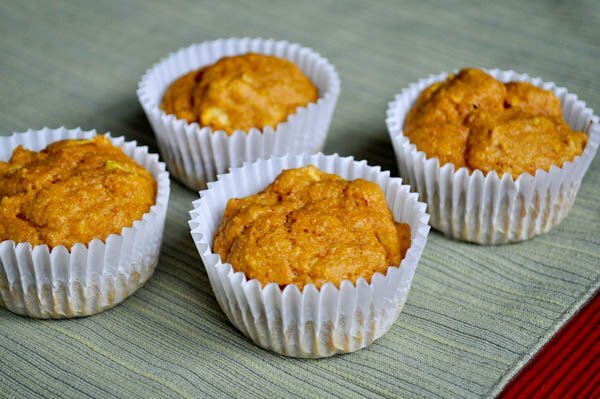 In a smaller bowl, combine pumpkin, egg, apple and vanilla. Add wet ingredients to dry and stir until combined. Begin with adding 1/4 cup milk and stir. If batter is still thick, add additional milk. Stir in melted butter. 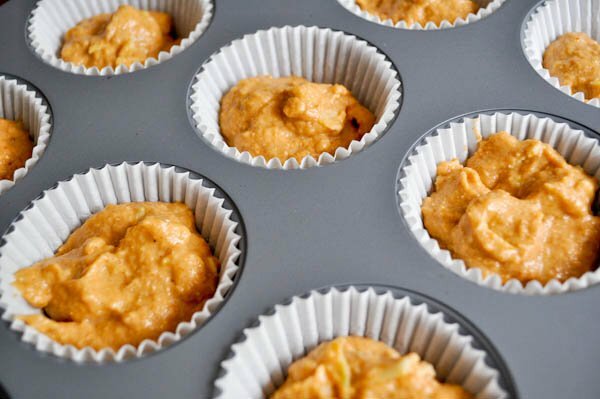 Spoon batter into muffin cups, about 3/4 way full. It is quite apparent that I need to be sent to muffin rehab. If you think I sit here day after day, trying to come up with as many different flavor combinations as I can, well… you’re right.